The euro is not to blame for the sovereign debt crisis which forced several EU countries into multi-billion euro bailouts, the next commissioner for the single currency told MEPs Monday (6 September). Speaking during his three-hour hearing with members of the Parliament's economic affairs committee, Latvia's commission nominee Valdis Dombrovskis commented that "we went through a crisis in Latvia without having the euro…the euro is the not the main issue to be blamed". 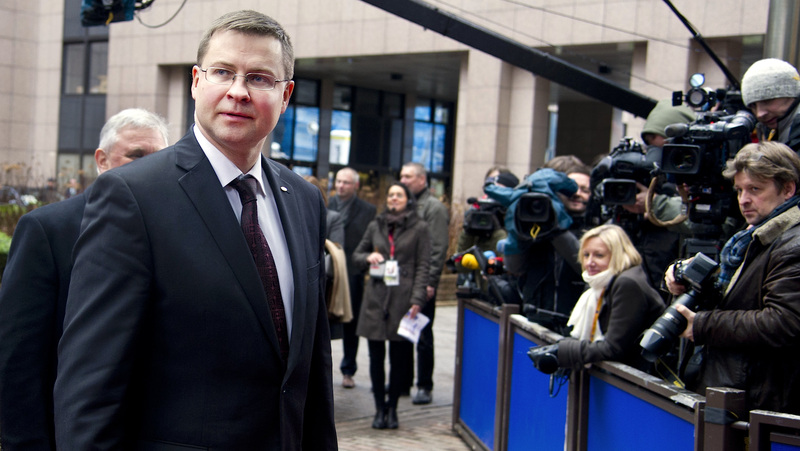 Meanwhile, Dombrovskis deflected claims that, as a vice-president in the EU executive, he would effectively be the line manager of French commission candidate Pierre Moscovici. There would be no "subordinate structures", he said, adding that his job would "by no means involve micro-managing the work of other commissioners". Dombrovskis, a centre-right politician who pursued a strict austerity programme as Latvian prime minister after his country was forced into a €7.5 billion bailout from the EU and IMF, maintained that his working relationship with the French socialist Moscovici would be a strong one. "We are willing and able to find a working relationship…and must put our individual political differences aside," he said. But unlike economic affairs nominee Moscovici, who faced strong criticism from centre-right MEPs about his two year tenure as France's finance minister which saw the country fail to meet its budget deficit targets, Dombrovskis was given a comparatively easy ride by deputies. The Latvian nominee also attempted to play down his reputation as a fiscal hawk, conceding that there was "no question that the crisis has created deep social problems". "Looking retrospectively we can find quite a few policy mistakes and we have to learn from them," he said. He also indicated that the days of new austerity measures in a bid to reduce budget deficits were a thing of the past. "By and large in the EU we are done with the fiscal adjustment phase" and should be "gradually moving….to one of ensuring sustainable economic growth" he said. He also stated that any future financial rescue packages would include assessments of their implication on society and unemployment levels as well as financial costs. Dombrovskis was at the helm when Latvia swallowed a harsh dose of austerity medicine in 2009, suffering an 18 percent drop in output, the largest in the bloc. But the Baltic country quickly bounced back with one of the strongest growth rates in the EU, and joined the eurozone at the start of this year. The former prime minister told MEPs that Latvia's recovery was "also based on economic stimulus and on extending our social welfare network". The EU's bailout fund and the Troika, which supervised the austerity programmes in the eurozone's crisis countries, should become accountable to the European Parliament within the next five years, as part of changes to the EU treaties, he added. On Tuesday (7 October) Finnish commissioner-designate for jobs and growth, Jyrki Katainen, will be the final candidate with an economic policy portfolio to face his hearing. 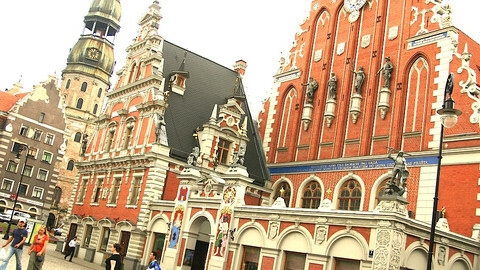 Latvia became the 18th country to join the eurozone on Tuesday. Latvia’s main Russia-friendly party scored worse than in previous elections and is likely to stay out of government, amid concerns over Russia's war on Ukraine.